Last week, a woman was pushed to her death in front of a New York subway train. The gruesome event has revealed that 49-year-old Connie Watton had ties to a billionaire. In fact, she had been the housekeeper for Blackstone Group CEO Stephen Schwarzman for decades. 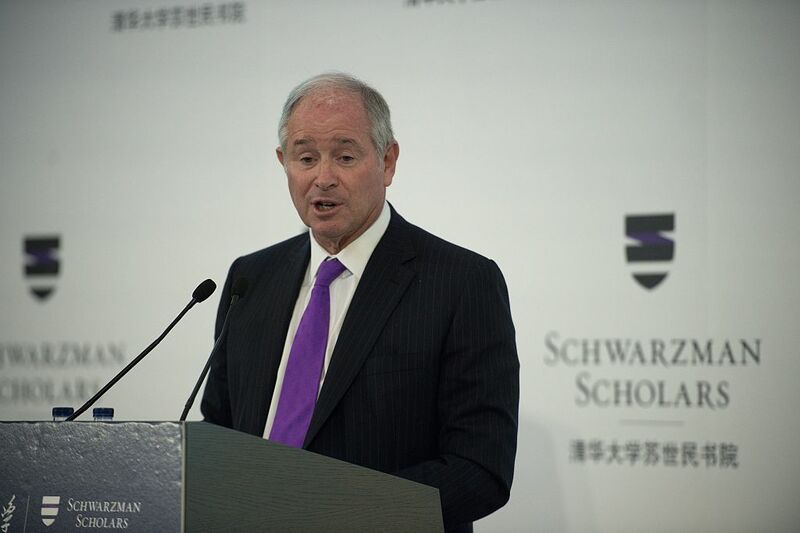 Stephen Schwarzman has a net worth of $13.4 billion. After getting his bachelors from Yale and MBA from Harvard, he went to work for Lehman Brothers, eventually ascending through the ranks to managing director and head of gobal acquisitions and mergers. He left Lehman Brothers in the mid-1980s to co-found The Blackstone Group. The Blackstone Group currently manages nearly $190 billion in assets for various entities, and the value of the firm actually increased by 15% in 2011. In addition to his work with The Blackstone Group, he pays for the education of over a hundred disadvantaged children in New York City, and reportedly personally reviews their report cards and writes to them each semester. Schwarzman's daughter Zibby Schwartzman told the New York Post: "My whole family is really sad and shocked. It's horrifying." Melanie Liverpool is the 30-year-old woman accused of killing Connie Watton. She is a former home health aide. In court on Tuesday she rolled her eyes at the charge of murder and insisted she wasn't guilty. However, prosecutors said Liverpool confessed to pushing Watton in front of the oncoming train. Once she got to her arraignment, she denied is saying: "What? I didn't admit to nothing." Nonetheless, the judge ordered Liverpool to be held without bail. Liverpool seemed not at all disturbed by the charges against her. Authorities have described her as emotionally disturbed. Apparently Liverpool and Watton were talking on the platform at the Times Square station before Liverpool pushed Watton in front of an oncoming train. Watton was found dead under the train and Liverpool was apprehended within minutes. Prosecutors have a strong case with several eyewitnesses as well as video surveillance. Police are looking at that video surveillance to try and determine what led Liverpool to attack Watton. Connie Watton was an integral part of Stephen Schwarzman's household. Zibby Schwarzman said the native of the Philippines had been a part of every family holiday. Amazon founder Jeff Bezos isn't known for being as robust in his philanthropic endeavors as some of his fellow billionaires, but in 2018 he gave away an impressive $2 billion.